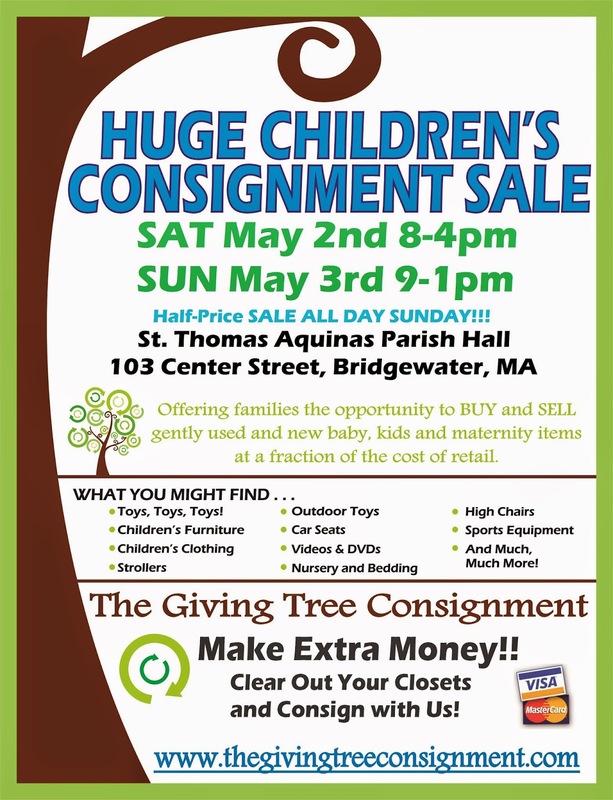 This weekend is The Giving Tree Consignment's Spring Sale at St Thomas Aquinas Parish Hall in Bridgewater. You will find many GREAT deals on children's clothes, toys, sports equipment, accessories and so much more! Shop Saturday from 8-4pm and Sunday from 9-1. Hope to see you there!